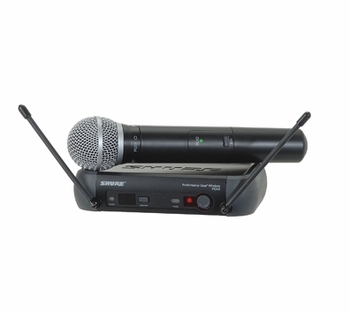 Shure PGX24/PG58 Wireless Microphone Vocal System DJParts - All Variety of Parts that DJ Needs. Home > DJ Gear > DJ Microphone/Wireless System > Shure Microphone > PGX Wireless (UHF Frequency Agile Wireless Microphone System) > Shure PGX24/PG58 Wireless Microphone Vocal System - Free Shipping!! !